What customers should expect on every job! What customers should expect from certified carpet cleaning company? Customers should always expect well trained carpet cleaning experts. At the end, all that matters is who is going to clean your carpet. Not the company but the carpet cleaners are going to perform the job. The specialists must inspect and offer proper cleaning technique and service that is beneficial for the client. They have to be able to answer all your questions about the cleaning process. 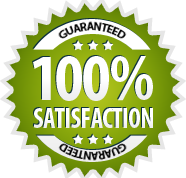 Every highly reputed company must offer a customer satisfaction guarantee and carry proper insurance. No matter you need stain removal or general cleaning, our technicians form D&G Carpet Cleaning will accomplish your residential or commercial carpet cleaning project in no time! We are proud to be in the carpet cleaning industry for many years and you can fully trust our skills and professionalism. 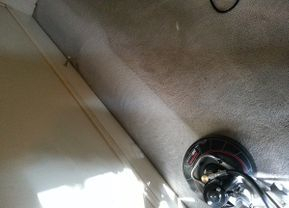 We use Hot Water Extraction "Steam Cleaning" which is the most effective method for carpet cleaning. Its capability to clean the carpet fibers deeply makes it the top cleaning process so far. Please, give us a call for the best care available. To reach the required sanitation level that kills germs, bacteria and dust mites, we are equipped with a heating system that creates temperature over 220 degrees. The carpet manufacturers' advice is to use steam cleaning as a superior cleaning method. 2-6 hours drying time, because our powerful truck-mounted equipment can extract 95% of the water we put down. Please, give us a call for the best care available. What the client should be ready to pay extra for? The clients should be ready to pay extra for oversized rooms, carpet or upholstery protector (Scotchgard), Pet Odor Removal, and additional treatments in cases of extreme soiling. At our Carpet Cleaning Service, we tend to provide the best carpet cleaning services across the nation. Unlike other carpet cleaning companies only using the vacuums to clean your carpet, we use many different new types of equipment to ensure the cleanliness of your carpet. Our carpet cleaning services also includes Hot Water Removal method for special carpets and inject hot and soft water along with our special cleaning ingredient into your carpet. Then our high-tech equipment will soak up all the dirt and soil from the carpet. With this equipment, the drying time also becomes less as all the soapy water and other dusty components are suctioned from your carpet already. We have developed some special techniques to loosen all the dirt, dust and soil from your carpet to make quick cleaning process. Our professional carpet cleaners don’t use any harsh brushes on your carpet that can damage the quality and softness of the carpet, but still removes all the dirt and allergens from it effectively. At our Carpet Cleaning New Orleans, we know that every carpet has a unique situation for cleaning, and that’s why we began our cleaning process by inspecting the carpet completely. We consider all the high damaged or heavily-soiled areas and then start the cleaning it. We use highly effective methods to extract all the ground dirt and components which may not be visible with the naked eyes. Our professional carpet cleaning includes powerful truck mounted suction system that will soak all the moisture from the carpet and boost the process of drying of the carpet. The carpet soaked by our suction system can contain little moisture in it, but it’s ok to walk on it not with your street sandals). You can use some fans or air conditioner to dry it within minutes. We also make sure that you carpet and furniture are well protected to avoid any interaction between them such as green carpet cleaning. We ensure that there is no color transfer of any furniture or things on your carpet. We are well renowned for offering fast, hassle free and professional carpet cleaning services in New Orleans. We bring your home fresh and clean. We also ensure that after completion of our cleaning services, the furniture are back to their original positions. We provide standard and high-quality carpet care. What If Your Carpets Don't Look Dirty? Studies have shown that if you have an average brown carpet ,your carpet can hold up to NINE pounds of dirt in a single square yard. Nine Pounds! WITHOUT EVEN LOOKING DIRTY! It's crazy,but most people change the air filter in their car more often than they get a good professional carpet cleaning! All our Carpet Cleaning Services come with Free pre-vacuuming and Free Pre-treatment!!! 5 Reasons you should always get carpet protector!